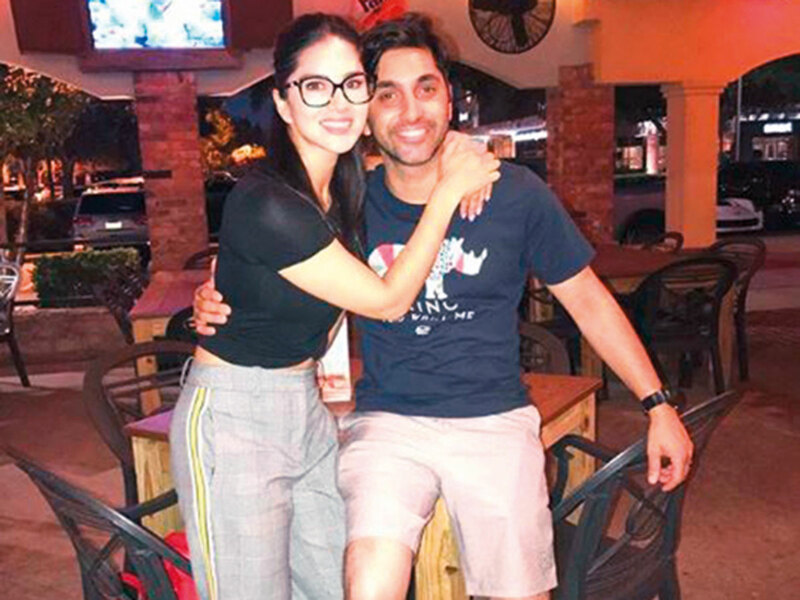 It was in 2016 when Sunny Leone unwittingly tasted her first victory in India in an attempt to reinvent herself for a lucrative career in Bollywood. Her now infamous televised interview on an Indian news channel sparked a social media outcry, with users objecting to her being ‘grilled like a petty criminal’ and falling ‘victim to misogynistic editorialising’. Such was the outrage that even Bollywood superstar Aamir Khan felt propelled to speak out in support of Leone. It is perhaps telling that the notorious interview would form the backbone of a new TV series based on Leone’s life. 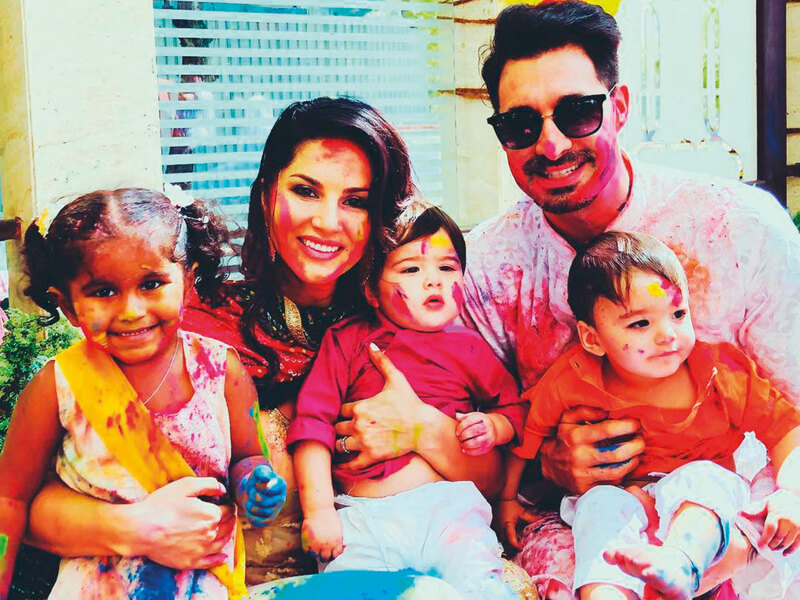 ‘Karenjit Kaur: The Untold Story of Sunny Leone’, which is now streaming on Zee5 in the UAE, weaves in key moments from her sit-down — including the particularly disturbing question when the interviewer implies he was becoming morally corrupt just by speaking to her — while unravelling her incredible journey in a series of flashbacks. The series sees Leone play herself, following her through her formative years as a Canadian immigrant, growing up in a conservative Sikh household to the decisions that ultimately led her to becoming an adult film star and would eventually lead her to Bollywood one day. “My sole and only intention [to get behind the show] was to tell the truth and stories of things that actually happened in my life. Whether it was the good, the bad or the ugly. I call it that because not everybody’s life is all chocolate and roses and if someone sees that as me not playing a victim then I guess I’m not,” Leone tells Gulf News tabloid! The refreshingly honest show gives a bittersweet look into Leone’s family dynamics, her bond with her parents, how they dealt with her career decision and her support system in the form of her brother Sunny — who incidentally is the inspiration behind her stage name. In an exclusive, the 37-year-old talks about her TV show, becoming a mother to Nisha and twins Noah and Asher, and, yes, that interview that rocketed her to unprecedented fame. Q. Why was it important for you as an individual to share your story? A: As much as I’d like to take credit for it, it wasn’t my idea. The production house and Daniel [Weber, husband] came to me and said this would be a great idea to share my life journey; and what was appealing was that the production had mentioned they wanted to show everything that had happened in my childhood, my family dynamic, funny stories. Basically, they wanted to say the truth what was most important to me. Q. Did you ever feel vulnerable, nervous even, to open up your story? Also, what were Daniel’s thoughts on it? A. I absolutely was vulnerable and nervous. And the process of telling the story was not easy for about six months. I sat on my couch and I laughed, I cried, I was angry and I was upset. I was excited as well. All these different emotions are ones you feel when you’re telling stories and Daniel was, as always, so supportive. He was very pro shooting this series and happy I did it. Q. Grusha Kapoor, who plays your mother on the show, is truly the heart of the story. Opening up about her struggles and her alcoholism couldn’t have been easy. Were there moments from the shoot that left you emotional? A. Grusha ma’am was absolutely amazing. Every single day with her was, even during the smallest of scenes or the most difficult of scenes, simply amazing. She did such a great job and the casting for this character was extremely important and was taken under care and sensitivity. Every single day of the shoot was emotional. Every single day, I thought of my own mother. Q. What really comes across on the show is the camaraderie the four of you share as a family unit — Bijay J Anand [playing her father], Singh and your on-screen brother [also called] Sunny [Karamvir Lamba]. Are you guys just as close-knit in real life? A. The reason that the on-screen Sunny and my character are so close is that the real Sunny and me are extremely close. We have shared amazing moments together and I have a great relationship with my brother. As for the on-screen Sunny, I grew to love him just as much as I do my own brother and he was just so much fun to work with and so creative. Again, casting was done just on point here. The connect the four of us have is something that will go on forever. Q. Was it important for you to choose the show as a platform to empower yourself, rather than be a victim to someone else’s narrative of your life? A. I wanted to tell the truth. We all have our own views of what our life is like and I’m happy I was able to do things my way. Q. Could this also be one of the reasons why you featured that televised interview in the narrative of the show? Did they ever reach out to you once ‘Karenjit Kaur’ started airing? A. No I did not get any feedback from them. I don’t know why I would. It wasn’t a moment in my life I am happy about or pleased that it happened. It’s the reality of being interviewed by a person like that. It’s not something that you have planned or expect to happen. I would never want to speak to those people again. Q. Who does Karenjit Kaur signify to you today, and how different is she from Sunny Leone? A. Karenjit Kaur and Sunny Leoone are the same people. Except that Sunny Leone, the name itself, is a brand. But I am the same person. Q. As a mother of three now, is this show a legacy you would like to leave behind for your kids? A. I think when my children are old enough to watch this series, it will be a classic, and there will be much more interesting stories than my own for my children to watch or for them to see or someone to look up to who inspires them. I don’t know if my children would watch it. Q. Parents may raise children, but few realise that children also raise parents in so many little ways. What have your beautiful children taught you and Daniel? A. My children teach me something new every single day. All day. And if I didn’t understand patience, I understand patience now. I think they are the most beautiful blessings ever. They’re learning something new, doing something new, I learn something new about them. They show me something they’re working on, or done, it’s really beautiful. Q. The last time we caught up with you in Dubai was when you launched your make-up line here. Are you planning on expanding your make-up line in the near future or branching out into something else – maybe even fashion? A. I will be expanding StarStruck and I am very excited about it. So many different products are going to be coming out this year that I am excited about and I hope people like the makeup. ‘Karenjit Kaur: The Untold Story of Sunny Leone’ is now streaming in the UAE on Zee5.